The entire home was sprayed and back-brushed. Yes that is correct, back-brushed. A whiz roller was used on many portions of the home also. The ceder planks were very dirty and required a thorough cleaning. 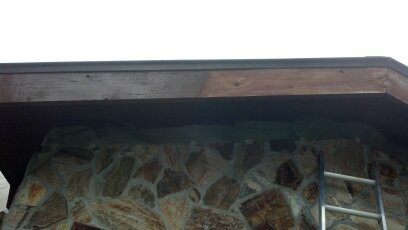 In this next picture you can see the difference with this header board that is in the process of staining. 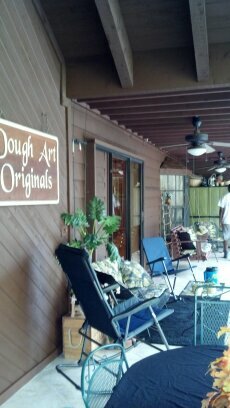 The back porch area came out great, here are some more pictures of this project. Our crew sprayed 19 gallons of material. Many of the areas would absorb the stain and would require several coats to ensure an even coating. to the sun and elements. The wood absorbs the moisture and mold starts to take root. During the cleaning, the areas that had more sun exposure and mold required much more stain to ‘fill in’ the ceder planks. 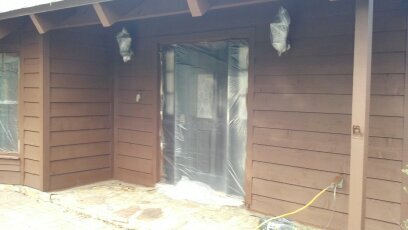 Peerless House Painting Valrico 33596 provides a detailed written estimate to all of our customers. The estimate will describe the paints used and process. All of our house painting projects come with a five year warranty.